The problem, as Boston mesothelioma attorneys can explain, is that vintage items, which generally means old, were constructed at a time when asbestos was used in virtually every aspect of the construction and manufacturing process, so there is a decent chance these materials may contain deadly asbestos fibers. According to a recent news article from Metro News, there are some re-sellers like the Habitat for Humanity ReStore that knows what to look for and takes all reasonable steps to make sure they are not selling toxic materials including the ones that contain deadly asbestos fibers. 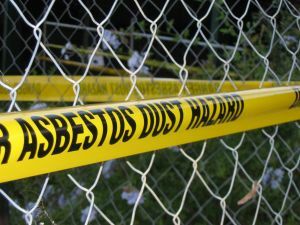 There are however, many other sellers that are not so careful so people should work with a certified asbestos professional when making decisions on what vintage materials to put in their newly renovated homes. Most of the materials are collected from construction waste and a good deal of the items are actually collected from landfills. When a property is renovated, and it is known to or suspected of containing asbestos materials, a licensed asbestos abatement contractor should be called in to perform a complete inspection. If asbestos material is found by that contractor, samples must be carefully collected and sent to a hazardous materials testing facility. At one of these facilities, they will perform an inspection using a microscope to not only confirm the presence of asbestos, but also to determine what type of asbestos is present since there are types that are more harmful to others. The increased harm is bases upon the ease at which dust is emitted that contains the deadly fibers. If a material is capable of being crushed or crumbled by the pressure of the human hand, it is known as friable asbestos, and this is among the most dangerous state in which asbestos is found. When a person inhales or ingests these deadly asbestos fibers, they become trapped in a layer of tissues known as the metholthium. This layer of tissue is designed to protect the organs of the body from harmful foreign bodies, but there is no effective way for the body to expel the fibers. They become trapped there and will over time develop into the lethal form of cancer known as mesothelioma. While mesothelioma is often thought of as lung cancer, because it does occur in the lungs in over 90 percent of the cases, it is much different than the type of lung cancer we typically associate with smoking. It is rarely caught in an early stage and most patients only develop symptoms when they have less than a year to live. Even if a plaintiff went to the doctor as soon as exposure occurred, there is not much doctors can do to see them or remove them. It generally takes a destructive biopsy to confirm the presence of asbestos fibers and doctors will not do that without obvious evidence of a tumor or symptoms, which typically take between 20 and 50 years to develop. The average time it takes for mesothelioma to be detectable is 40 years. There are however, cases in which the tumors are found early, but this is usually an incidental discovery where a patient is having some unrelated pulmonary or abdominal surgery and they are seen by the surgeon. These cases are few and far between. As we find ourselves in the midst of the holiday season, it is important to discuss how many vintage holiday decorations may contain asbestos. While many people will have all newer Christmas ornaments, many have vintage ones that have been handed down by friends and family members of the years. In the 1940, much of the fake snow used on globe style ornaments was actually made from pure asbestos powder mixed with glue and sprayed on. Some companies even sold pure asbestos powder in bags or cans so consumers could sprinkle it around their homes to simulate snow. While this practice may be unheard of today, where everyone knows of the dangerous of asbestos, using ornaments made many decades on your tree today may pose some of the same risks. If you have materials that may fall into this category, you should contact an asbestos testing company to see what steps you need to take. What you should not do is simply throw them out with your ordinary trash because that would put many others at risk including those who collect the trash and those working at the landfill. Asbestos debris must be wet to prevent dust from escaping before being sealing an approved plastic container that will be taken by a certified hazardous waste collector and safely transported to a hazardous waste disposal facility. At this facility, it may be buried and capped (cap and fill) or it may be incinerated. While asbestos is known for its ability to withstand fire, they use super hot pressurized burners. Anything will burn if enough heat and pressure is applied, and this is done is a way heavily regulated by the U.S. Environmental Protection Agency (EPA).